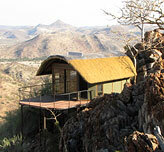 Conservancy Safaris Namibia's blog | Welcome to our Blog. 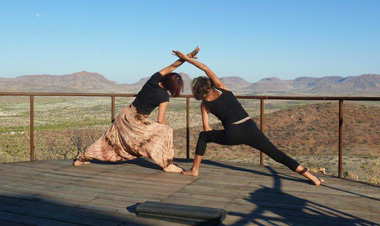 Conservancy Safaris run outstanding journeys to Kunene – a wilderness region in north-western Namibia – rightly famed for its desert adapted lions, elephants, black rhino, stunning scenery, and fascinating local people. As the company is 100% owned by the local Himba and Herero communities, it is the ultimate in responsible travel, where every guest makes their footprint count, by directly aiding conservation and local communities, whilst enjoying an inspirational journey of a lifetime. This blog will allow you to share your experiences via picture, video or text. CS-N is southern Africa’s only up-market safari company that is co-owned by nearly 2 000 Himba and Herero semi-nomadic herders, through their five communal conservancies. Profits go to these communities so you know you are making your footprint count. Conservancy Safaris are delighted to offer, to selected operators, the opportunity for their clients to stay at our stunningly located Etambura Camp. From April 2012 we are providing accommodation on a self catering basis. Later we plan to offer a dinner, bed & breakfast option.